Nominations For #eddies14 Are Open! 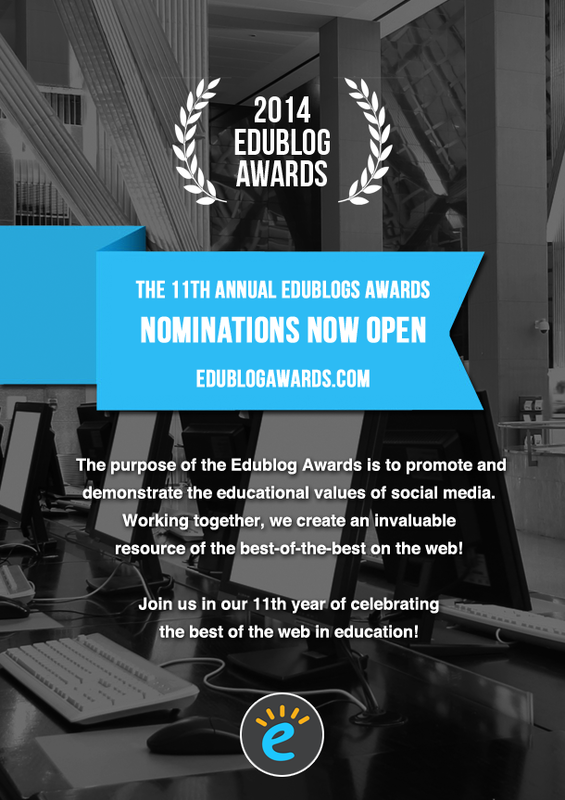 The 2014 Edublog Awards are a go for the ELEVENTH year! 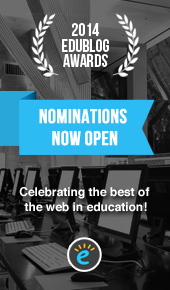 The Edublog Awards started in 2004 in response to community concerns relating to how schools, districts and educational institutions were blocking access of learner and teacher blog sites for educational purposes. The purpose of the Edublog awards is promote and demonstrate the educational values of these social media. Working together, we create an invaluable resource of the best-of-the-best on the web! Make your official nominations using this form here. Optional: Write a post with your nominations for the different categories on your own blog (or a website – anywhere public) and share the post using #eddies14. Nominate in as many categories as you want! Nominations are open from now through Monday, November 24th.